At "Fairytale Weddings" we suggest to our Princesses to let themselves be inspired by a timeless icon of elegance and style: Audrey Hepburn. She radiated natural beauty, a beauty that came from her wonderful rich essence of charm and gracefulness. Her make-up only illuminated her face – perhaps recent trends and make-up artists have been inspired by her style. For bridal makeup, we suggest highlighting the eyes and lips, tending toward delicate shades without going over the top with eyeshadow and blush, but keeping everything muted and balanced. In the latest bridal fashion shows, we’ve seen not only smoky eyes, but also shades like copper and gold, while for the lips more daring shades approaching cherry and magenta colors have been used. "Fairytale Weddings" works with the best professionals, who will make every bride shine, so that every fairytale Princess can feel beautiful and “unique” on the most important day of her life. We’ve asked our make- up artist to share some little tricks with us: the primer for the face and the primer for the eyes should both be applied before a cream foundation, for the purpose of ensuring luminosity and perfect hold all day long. The primer for the lips must be applied before the lipstick – it creates a protective film which makes the lipstick brighter and totally kiss-proof. Finally, a veil of powder, our grandmothers’ timeless secret for a mat complexion, will give your face a perfect satin sheen and make you perfectly charming. In every fairytale wedding, the choice of hairstyle is certainly to be counted among the most important aspects for our fairytale Princess. Our job is to play on all the subtle aspects that make up the beauty, charm and sensuality that all women naturally possess, and express the personality of each bride, just like we do for all the various details that help make her “unique on her big day”. The Princess of "Fairytale Weddings" will have our team of top professionals at her command; after listening to her wishes, they will give her the right advice to achieve total satisfaction and also dispense plenty of invaluable tips. 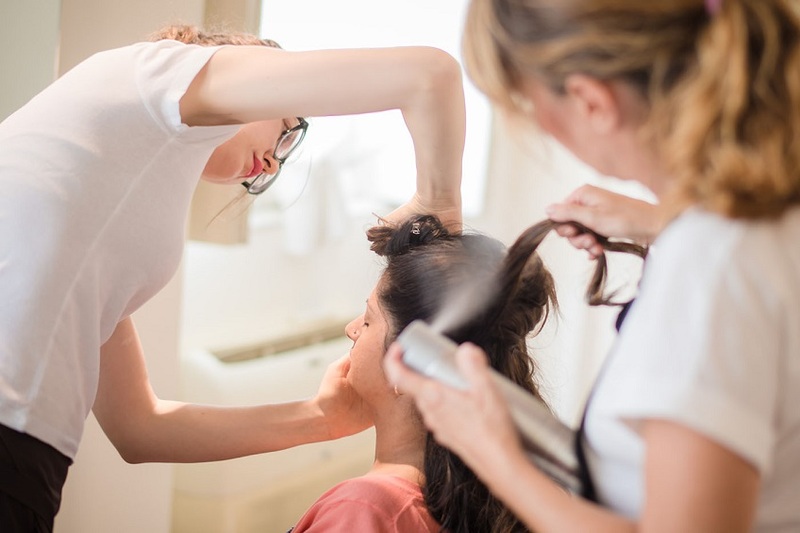 These include respecting and making the most of each bride’s individual features, as well as avoiding big changes on the eve of one of the most important moments of her life. Later, we can let loose our imaginations and the stylist will find the right look to both flatter the features of the face and create a magical harmony with the dress worn by our fairytale Princess. 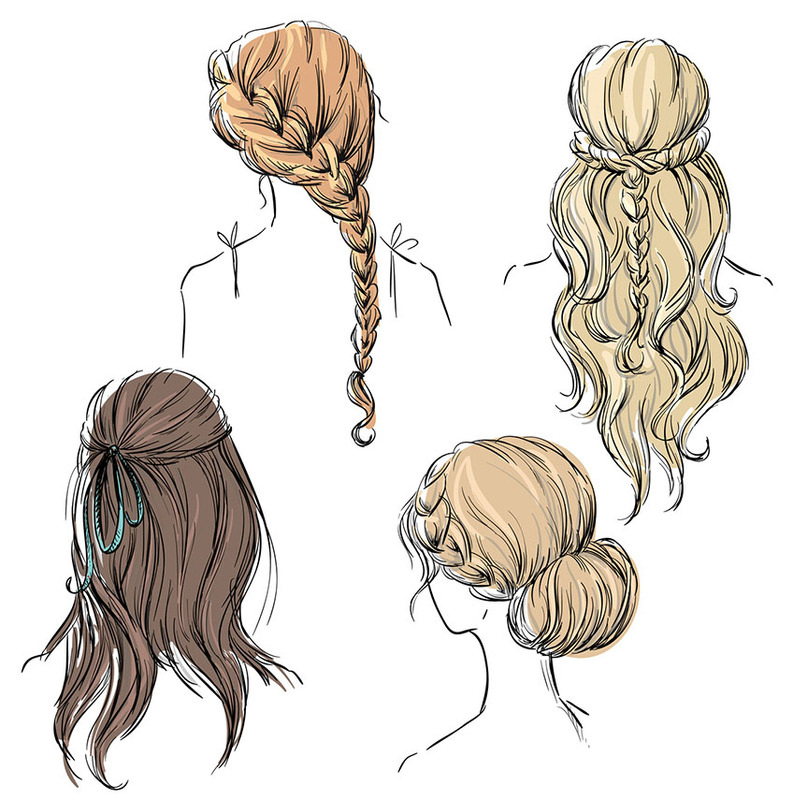 To give you an example, we can suggest a soft updo to emphasize a long neck or a dress which shows off bare shoulders. Simplicity, charm, elegance: a natural way to be always classy. Without neglecting the hairstyles that never go out of fashion, "Fairytale Weddings" keeps up with new trends, such as this year’s trend of focusing even more heavily on hairstyles with flowers buds and garlands, colourful blooms for a unique headpiece. 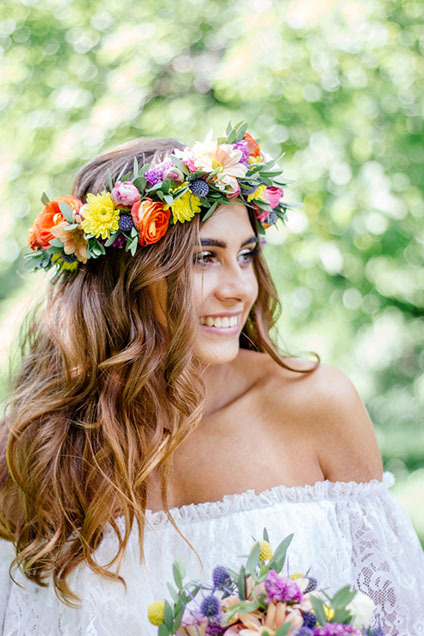 Whether you go for an updo, half-up, braids, or leaving your hair down, flowers can create a very natural effect even on more elaborate hairdos. 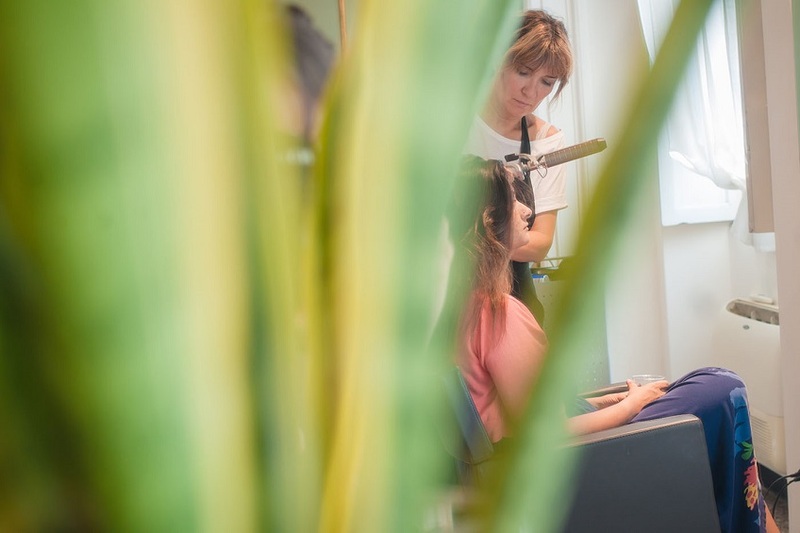 Once your hair has been done, you will understand the meaning of mastery, the mastery of our professionals. For Princesses with short hair we suggest a very feminine and glamorous cut, which you can draw attention to with a jeweled accessory. 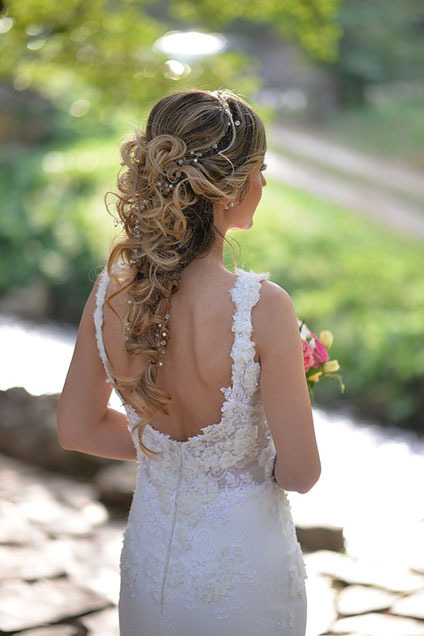 The Fairytale Weddings and Matrimoni da Favola suggest changing your hairstyle after the ceremony and reception – either by loosening an updo, or transforming your look by simply changing your accessories, or removing the buds from your hair and replacing them with a bright detail, maybe a jeweled piece. A good time to act on this suggestion is before you start to dance the night away and give vent to your happiness at having finally fulfilled “your dream” in the realm of fairytales.